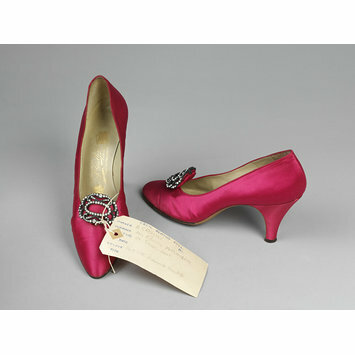 Pair of fuchsia pink satin evening shoes, with stiletto heel and almond toe. It has a diamante buckle. 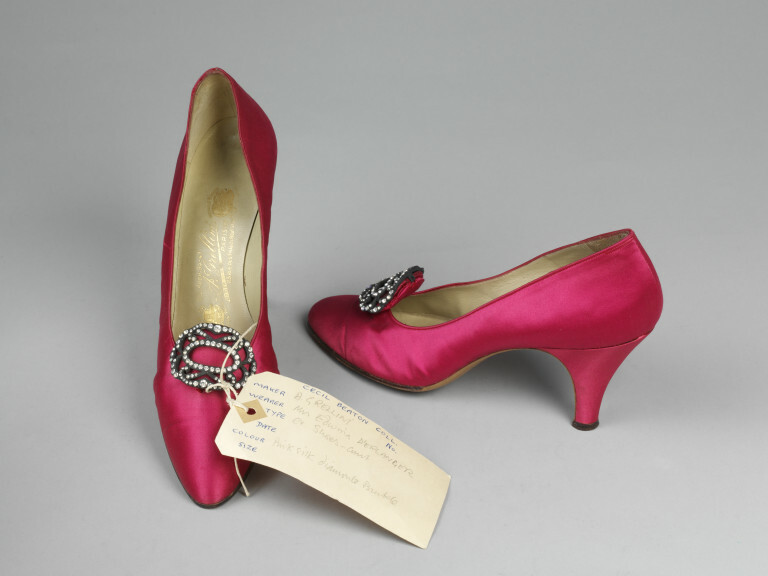 Pair of evening shoes of satin, designed by Grellini, France, 1961-1964.